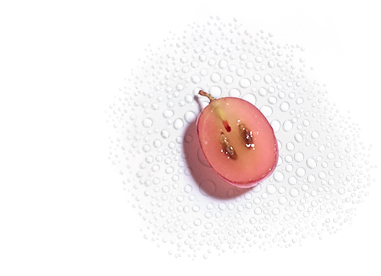 Tightness, redness, a dull complexion... Dry and fragile skin needs an extra dose of hydration. 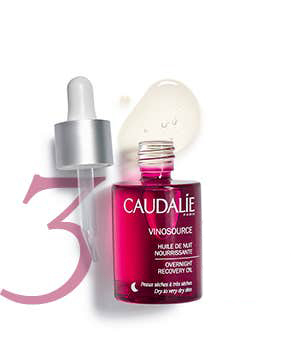 Vinosource comes to the rescue of sensitive skin, drawing its main active ingredients from the vine for hydrated skin, rich in moisture. 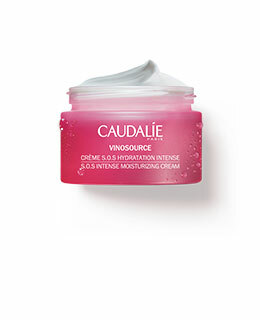 The S.O.S Cream is the most hydrating formula in the Vinosource range. Its silky and velvety texture soothes even the most sensitive skin. 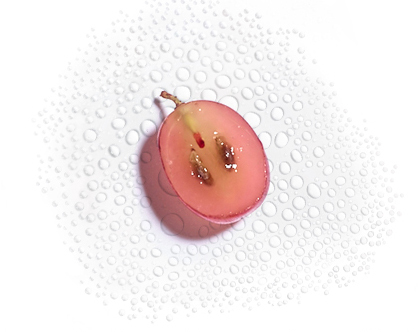 Organic grape water holds water deep within the epidermis for continuous hydration. 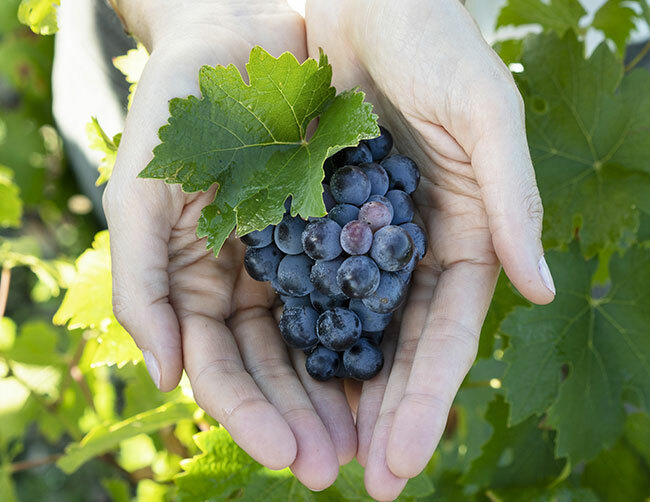 Grape seed polyphenols protect the skin from environmental aggressors by blocking free radicals. 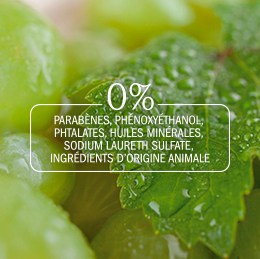 Natural olive squalane nourishes the skin. 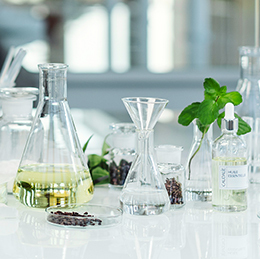 Borage oil, rich in omega 3, improves the skin's suppleness and elasticity. 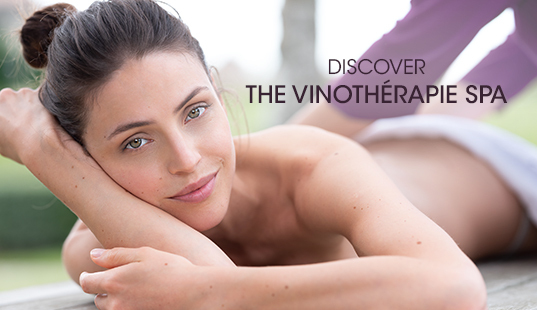 The Vinosource range offers an intense boost of moisture for the skin. Skin appears plump and supple. There’s a day cream for every skin type. Choose your routine according to your skin's needs. 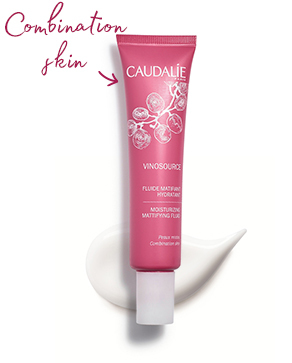 A free French Kiss Lip Balm (worth £10) with the purchase of any Vinosource product(8). It boosts the skin's natural irrigation system to continuously diffuse water and reduce skin dehydration. 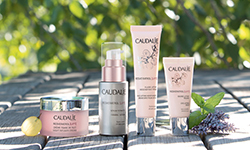 Hydration is the secret to beautiful, radiant skin. Regardless of whether your skin is dry or oily, it’s important to hydrate your skin each day to prevent signs of ageing and loss of elasticity. How do you know if your skin is well hydrated? How do I recognise dehydrated skin? Dehydrated skin is not a skin type but a temporary skin condition that can concern all skin types and all ages. Its distinguishing signs are a lack of suppleness, feelings of tightness, fine lines and striations. What are the main causes of dehydration? Dehydration is caused by excessive water evaporation, which may be linked to environmental factors (wind, humidity level, air conditioning, etc. ), harsh beauty products, or endogenous factors (poor functioning of the epidermis, impairment of the hydrolipid film, etc.). What is the difference between dehydrated and dry skin? Dry skin, like oily skin, is a skin type. Dry skin is skin that lacks lipids because its sebaceous secretions – essential for its comfort – are insufficient. It is also affected by excessive TEWL (transepidermal water loss): this is why skin dryness is undeniably accompanied by dehydration. Skin is diagnosed as "dry" when it is lacking comfort and suppleness and feels tight. Dehydrated skin, on the other hand, is a temporary state that all skin types (dry, normal, combination, oily) may experience. Dehydrated skin is skin lacking in water. How will a moisturizing cream work on the skin? An effective moisturizing cream will supply skin with water but also provide it with elements capable of retaining water in the upper layers. It will then encourage water to be transported from the deep layers to the surface of the epidermis. Finally, it will limit the evaporation of the water contained in the epidermis by helping to restore the hydrolipid film. Why should I use a serum before my cream? 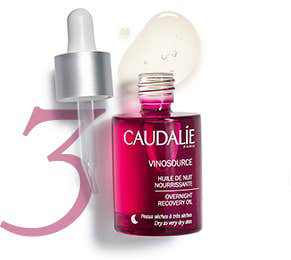 A serum is a concentrate of active ingredients that will take targeted action on specific skin concerns. 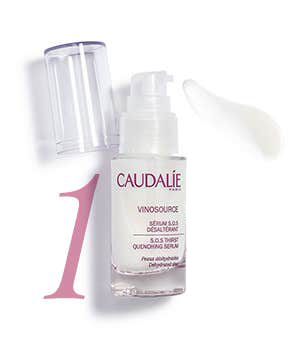 The serum's light texture allows it to quickly penetrate deep down. 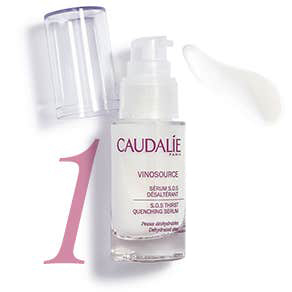 The serum can also boost the moisturizing cream's activity for faster visible results. Can I apply my moisturizing cream under my eyes? The skin of the eye contour area is very fine and fragile compared to the rest of the face. Its hydrolipid film is also finer. It is therefore much more sensitive to external aggressors. It is preferable not to apply creams containing fragrances, volatile silicones or sunscreens to this area. In addition, the eye contour area has specific needs that are not met by a moisturizing cream (dark circles, puffiness). I have an oily skin. Does it need to be moisturized? 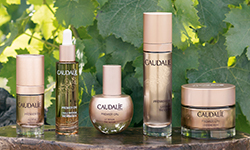 Yes, every skin type needs hydration. 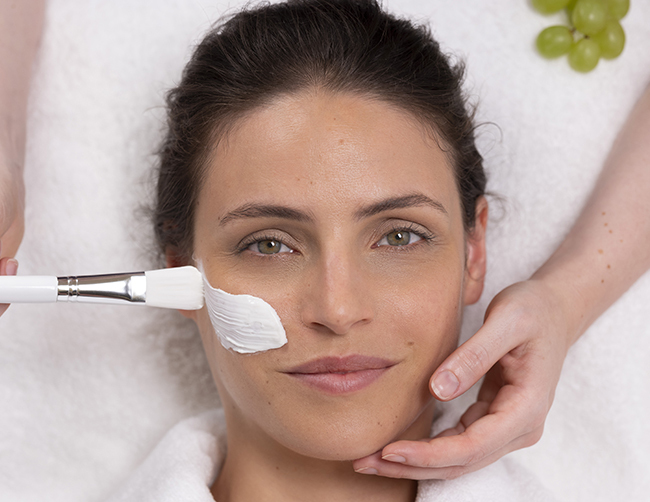 You simply need to choose a cream suited to your skin type. 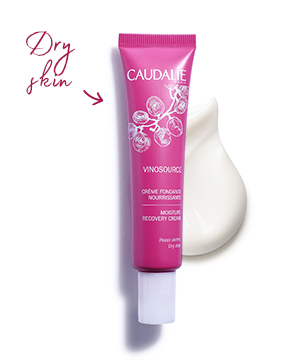 Vinosource Moisturizing Mattifying Fluid or Vinopure Skin Perfecting Mattifying Fluid will allow you to keep your oily skin supple while preventing excess sebum. My skin is sensitive and red and I have rosacea. Which cream should I use? 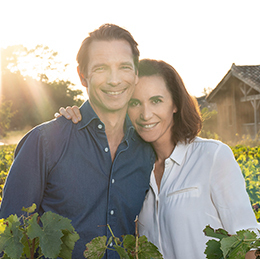 Rosacea is due to abnormal dilation of the blood vessels. Products containing polyphenols will be better suited to strengthening the vessel walls and thus restricting their dilation. Moisturizing Sorbet can be used because it soothes diffuse redness (it is mentioned on the pack: reduces redness 77%) linked to skin irritation or abnormal sensitivity (external aggressors, allergens, stress, etc.). 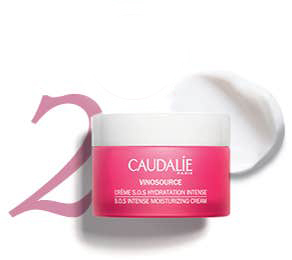 The more nourishing Intense Moisture Rescue Cream can also be used (on the pack, it is mentioned: Soothed skin 90%). I have sensitive skin. Can I apply a cream containing fragrance? It is possible to use a cream containing fragrance if your skin is sensitive but not allergic. It is important to note that each person's skin has its own sensitivity and therefore reacts differently to external factors. 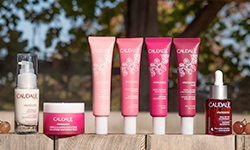 Moisturizing Sorbet and Intense Moisture Rescue Cream have been tested on sensitive skin. This serum just sinks into the skin and makes it smooth and soft and hydrated without feeling heavy or sticky. A dry skin life saver! This is a go to product in the winter for dry and dehydrated skin. And, a miracle worker. It's super lightweight but very absorbant and feels wonderful on my skin. 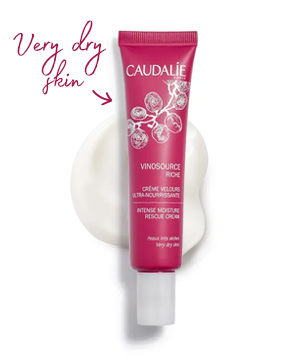 Great to pop in your handbag if going out after work and need a bit more hydration. Would recommend. A dry skin treatment is a bottle. Superb! My skin has always become oily throughout the day and given me an unwanted shine to my skin! Since using the mattifying fluid this does not happen, and it does not dry your skin! developed specifically for skin lacking hydration. 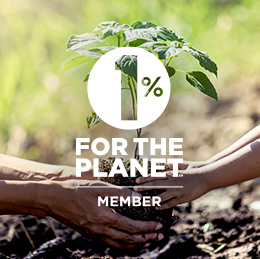 each of our product formulas meets a very strict ethical charter and offers a high concentration of natural ingredients. (1) Clinical study, % of satisfaction, 23 women, 28 days. (3) Clinical study, % of satisfaction, 24 women, 28 days. (4) Clinical study, % of satisfaction, 28 days, 22 volunteers. Non-comedogenic. (5) Brillancemetry®, effect reported by 100% of 22 volunteers, 1 hour after application. (6) Clinical study, % of satisfaction, 21 days, 23 volunteers. (7) Clinical study, % of satisfaction, 21 days, 20 volunteers. (8) Shade of your choice. While stocks last. 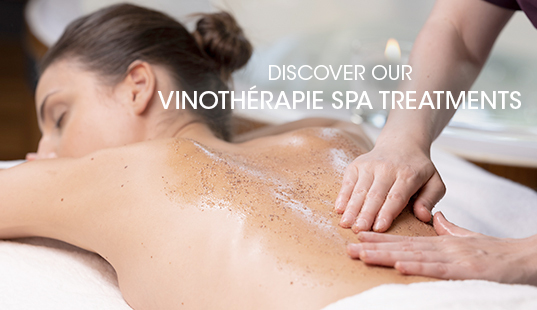 Cannot be combined with another offer, available on all Vinosource products, excluding sets. 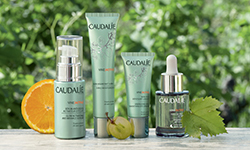 Offer available from 03/04/19 on caudalie.com, in Caudalie Spa Boutiques and selected stores nationwide. Non-binding photo. (9) Corneometry®, 12 volunteers, result seen after 3 minutes. (10) Clinical trial, 20 volunteers, result seen after 10 minutes.